It’s Our Fab Fash Life is running another giveaway to gift one of their fans with a brand new smartphone or $500 in cash! 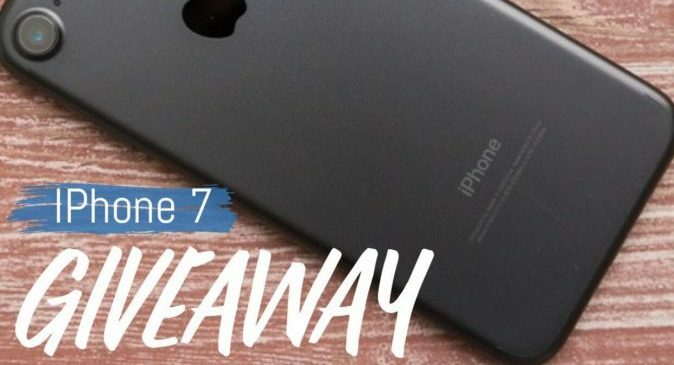 To enter in this Apple iPhone 7 or $500 Cash Giveaway grab your free entries, follow few simple steps listed down below! With its entire enclosure reengineered, iPhone 7 is the very first water‑resistant iPhone. So now you’re protected like never before against spills, splashes, and even dust. The Home button on iPhone 7 is an advanced solid-state button designed to be durable, responsive, and pressure sensitive. Working in tandem with the new Taptic Engine, it gives you precise tactile feedback as you press. And it’s even customizable. Welcome home. STEP 2 – Log in to a giveaway widget with your Facebook or email account. The winner will be notified within 24hrs of the giveaway closing and he or she will have 48hrs to respond, or a new winner will be selected.